WHO: Russ DiGilio, founder and owner of Duck Donuts Franchising Company LLC, headquartered in Mechanicsburg, Pa., has announced the company’s first official national partnership as the major sponsor of Gabe’s Chemo Duck Program, headquartered in Nashville, Tenn.. Chemo Duck is a nonprofit organization that provides education, comfort, and huggable hope to children living with cancer using medical play, an adorable stuffed duck and therapeutic tools. “Chemo Ducks are a developmentally appropriate tool that child life specialists are able to use to help explain mediports or Broviac® and Hickman® lines to children receiving chemotherapy or other medications. The ducks become an instant friend to the children who receive them, and even come with matching bandanas for the duck and child,” said Ashley Kane, Penn State Hershey Children’s Hospital’s child life program manager. WHAT: Press Conference and Tour on Friday, March 24. Duck Donuts Franchising Company and Gabe’s Chemo Duck Program will launch their official partnership at Penn State Hershey Children’s Hospital, a member of the U.S. News & World Report “Best Children’s Hospital” 2016-17 list. Join the conversation on social media by using the hashtag #DucksUnite. 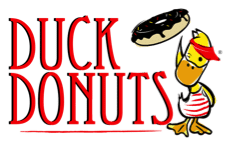 “Duck Donuts places a strong emphasis on the importance of contributing to the communities we call home. Our Chemo Duck partnership is franchise-wide and will be sustained by our yearly corporate investment, as well as monthly franchise support for Chemo Ducks to be provided to pediatric cancer patients in children’s hospitals around the U.S. It’s shocking to learn that pediatric cancer is the second leading cause of death in children ages 1 to 14. We are honored to ‘unite our ducks’ to bring a little more joy, happiness, and huggable hope into the lives of these children,” says DiGilio. With its headquarters just a few miles from Penn State Hershey Children’s Hospital—a grateful recipient and advocate of Gabe’s Chemo Duck Program—DiGilio is aware that the hospital’s 125 beds are almost always at capacity. In 2016, an estimated 10,380 children under the age of 15 were diagnosed with cancer in the U.S.
Cancer is the most common cause of death by disease for children in America. In 2016, nearly 1,250 children younger than 15 died of cancer. Worldwide, every 3 minutes a family is told their child has been diagnosed with cancer. 1 in 5 children with cancer will die of their disease. “When I first met Lu Sipos and saw what an incredible difference her organization is making in the lives of pediatric cancer patients, I knew we wanted to join forces to make sure every child and family facing the unimaginable would have access to a Chemo Duck and the education and comfort that comes along with the therapeutic stuffed yellow duck in hospital scrubs,” says DiGilio. “By adding our support and resources to Gabe’s Chemo Duck Program, we want to help make a difference in the lives of children and families who are on an unthinkable journey. Our partnership will enable children’s hospitals nationwide to freely distribute Chemo Ducks to every child who needs one, without worrying about budgets or selective distribution. We hope to make a family’s pediatric cancer journey a little easier and eliminate the fear of the unknown,” says DiGilio. By 2011, Duck Donuts had expanded to four Outer Banks locations and the donut business was so successful that DiGilio was continuously approached about franchise opportunities and by fans who begged for a Duck Donuts in their communities. The first franchise opened in Williamsburg, VA, in 2013, and there are now 34 open franchise locations and 141 signed contracts. Gabe’s Chemo Duck Program is a Nashville-based nonprofit organization established in 2004 to provide education and comfort to children living with cancer through medical play using therapeutic tools. The goal of the program is to enable hospital staff and parents to prepare children for chemotherapy treatment and eliminate the fear of the unknown. Penn State Hershey Children’s Hospital is an advocate for Chemo Duck and is part of more than 120 hospitals worldwide that use the adorable stuffed duck. There have been more than 30,000 Chemo Ducks produced and distributed worldwide. Chemo Duck is a stuffed yellow duck dressed in blue hospital scrubs with a bandana around its head, a chemotherapy port on its chest and an immobilizer on his arm. In a gentle, age-appropriate manner, children learn what to expect during cancer treatment and have a friend to share the experience. In turn, children can use Chemo Duck to help friends, siblings and classmates to understand and empathize with their experience. For more information, visit chemoduck.org.